Maison Angelot is run by the brothers Eric and Philippe Angelot. 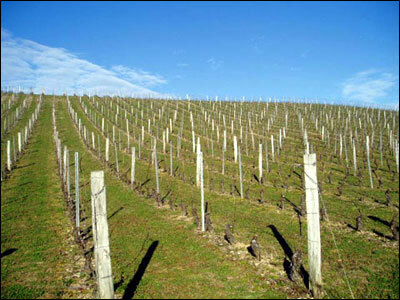 Their 57 acres of vineyards are divided into about 20 different parcels, some hillside and others along the valley floor. 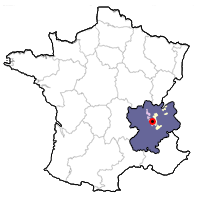 The white grapes Aligoté, Chardonnay, Roussette, Altesse, Molette and Jacquère are planted around the town. For reds, Mondeuse, Poulsard, Pinot Noir and Gamay grapes come from some of the property's oldest vines. Tasting Notes: Totally slurpable. Not tremendously complex or deep, but simply delicious. Replete with spicy red fruit and with low acid and tannin, this wine is downright fun! 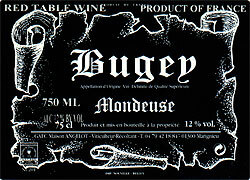 The type of wine to open without thought, during a wide variety of occasions and with many types of simple, comfort food (hey, don't most of us eat like that every night?) Gulp it by the bottle, gulp it by the case! Harvest is both manual and with machine (depending on the parcel), and their modern winery houses temperature-controlled stainless-steel and fiberglass tanks. Harvest takes place at the end of September. 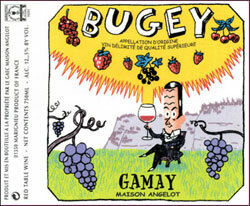 Yields for the Gamay average about 60-65 hl/ha (four tons an acre), while the vines themselves are 20-25 years old. 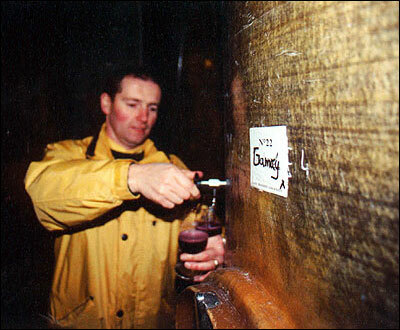 The juice is converted into wine throughcarbonic macération in temperature-controlled stainless steel tanks over the course of a short six days, with the caps are punched down twice a day. If necessary, a light chaptilization (1% maximum) is employed. The wine is perhaps slightly lighter than that of Beaujolais, yet with a bit more spice on the finish. 100% destemmed fruit, 100% carbonic maceration that lasts 10 days. Tasting Notes: Deep ruby color, aromas of black cherry, licorice and pepper. A bit deeper than the Gamay, and with a touch more tannin. Food Match: An excellent match for tomme and comté cheeses. Roussette is the local name for the Altesse grape, widely grown about 20 minutes away in Savoie. Packaged in an Alsatian-style bottle, this tender white shows has pear and white peach aromas combined with a floral note. This wine will provide some really tasty, late summer drinking!